Ong: Ok la… since u guys wan me die so bad…. i’m gonna lai u guys lok sui also la! EGM! Fresh election! Ong: Ok la… then I peace with Chua! Muahahaha! Ong: WTF?! I thought u guy said EGM waste money?!?! 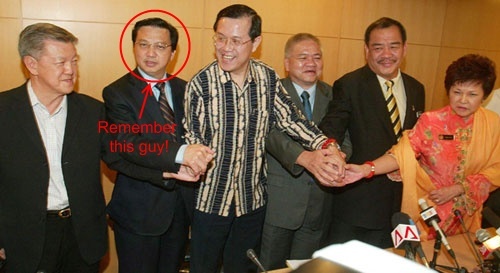 This entry was posted in News Comment and tagged drama, mca, politics on October 30, 2009 by Khim Hoe.